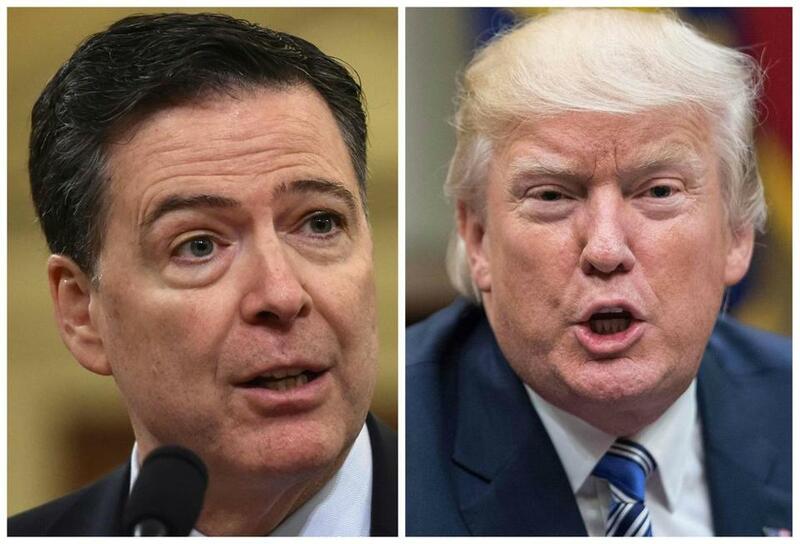 Former FBI director James Comey (left) had a lot to say about President Trump in an ABC News interview that aired on Sunday. 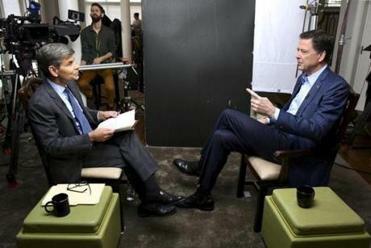 Former FBI director James Comey’s interview with ABC News chief anchor George Stephanopoulos aired Sunday night, touching on a number of topics related to the 2016 presidential election, the investigation into Hillary Clinton’s e-mails, and President Trump’s leadership style. The “20/20” interview was Comey’s first since Trump fired him last May. While ABC only aired an hour of the interview — which ran ahead of Monday’s release of Comey’s book, “A Higher Loyalty” — Comey and Stephanopoulos reportedly spoke for five hours. The complete transcript of the conversation is full of details — specifically several poignant metaphors of how Comey views Trump. Here are three things Comey compared Trump to during the interview. Comey claims that at the beginning of Trump’s term, the new president told him, “I need loyalty.” Comey instead promised him “honesty,” since he said a loyalty oath between the president and FBI director crosses a line. Comey agreed the alleged actions were in line with those of a mob boss, and said he doesn’t make that claim lightly. The former FBI director called the president a serial liar who treated women like “meat,” and described him as a “stain” on everyone who worked for him. Comey previously worked for the US Attorney’s Office in New York from 1987 to 1993, during which time he helped prosecute the famous Gambino crime family in New York. “The loyalty oaths, the boss as the dominant center of everything, it’s all about, ‘How do you serve the boss, what’s in the boss’ interests?’ It’s the family, the family, the family, the family,” he said. Trump, Comey suggested, is a danger to the country — similar to a wild blaze. Comey didn’t have an answer to that question, instead deciding that it is an individual choice for everyone.